Students can work together remotely answering complex problems. Students can create or join study groups to help each other with homework or to answer complex problems. 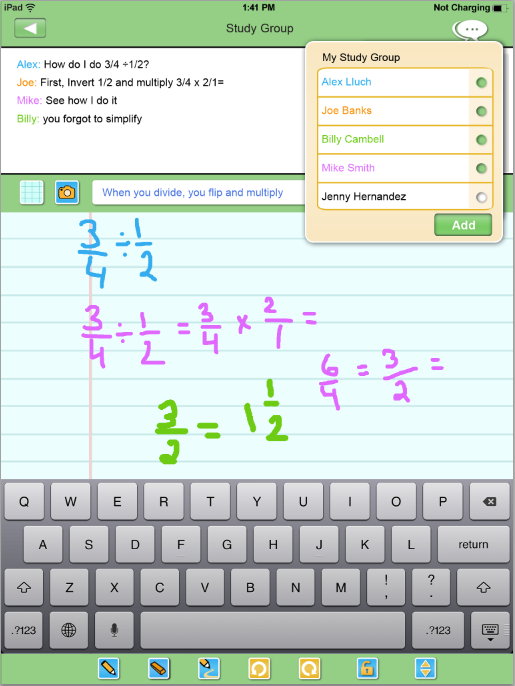 Students chat in real time with each other by typing or drawing on the work area. 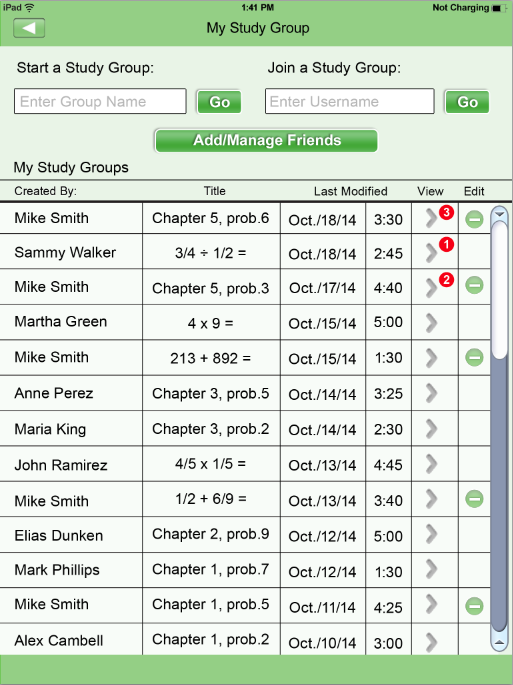 Students can invite friends from their classroom, or anywhere else via Facebook, text message, or email.